Shop Prescription Eyewear & Get Free Lenses + Scratch Guard + Shipping Today. Our Price: $135.00 (Free Rx Lenses included)! Our Price: $109.00 (Free Rx Lenses included)! 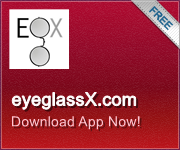 Our Price: $105.00 (Free Rx Lenses included)! Our Price: $125.00 (Free Rx Lenses included)!